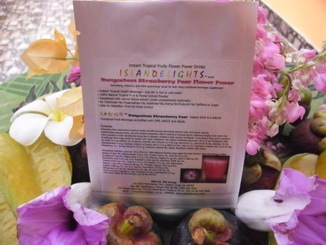 Siam Natural Islandelights Flower Power instant beverages for the Green Life! New refreshing, delicious, & thirst quenching nutritional beverages - cold or hot! The wonderful invigorating health value in nature's tropical rainforest botanicals. The natural value of plant life and fruits has already been widely accepted, and goes far beyond just their delicious flavors, sweet & fragrant smells, and beautiful colors. It is not so surprising that people are progressively seeking out new ways to become healthy the natural way! 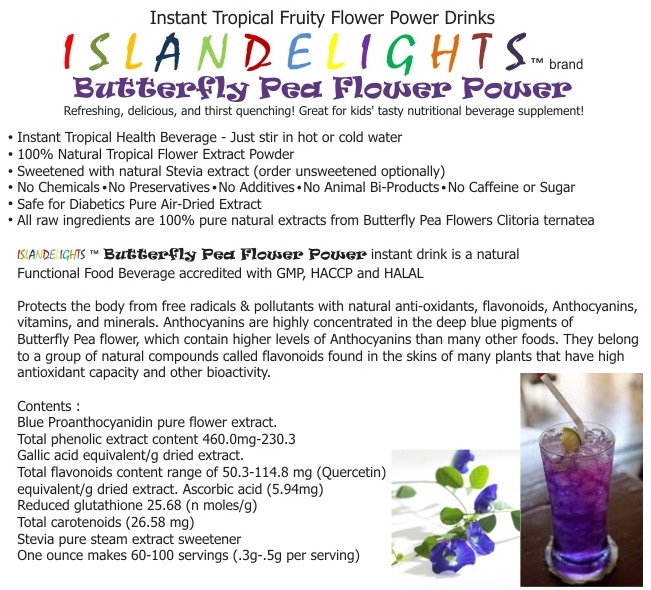 Recommended for Women - Islandelights Butterfly Pea Flower Anchan 100% natural instant health beverage with KKK Naturoestrol Extract (1) pkg makes 60-90 servings. 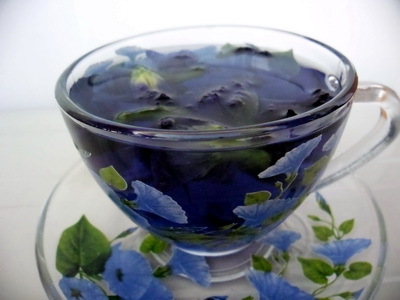 Recommended for Men - Islandelights Butterfly Pea Flower Anchan 100% natural instant health beverage with Naturoestrol KKD Extract (1) pkg makes 60-90 servings. 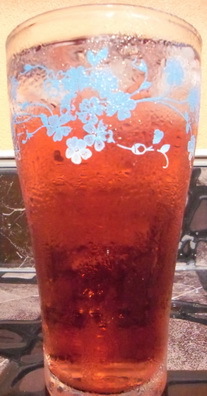 New healthy refreshing, delicious, & thirst quenching nutritional beverages - cold or hot!  Strawberry Pear (Hylocereus undatus) health benefits include preventing memory loss, anti cancer activity, controls blood glucose levels, has anti-oxidant properties, aids in healing of wounds and is a delicious tropical fruit which has some wonderful health benefits like being low in calories, contains a high content of Vitamin C and dietary fiber, and is excellent at reducing blood sugar levels for people with Type 2 Diabetes..The typical nutritional values per 100 g of raw Strawberry Pear (of which 55 g are edible) are as follows: Ascorbic acid (Vitamin C) 425 mg, Ash 0.4-0.7 g, Calcium 610 mg, Calories: 35-50, Carbohydrates 9-14 g, Carotene (Vitamin A) traces, Fat 0.1-0.6 g, Fiber 0.3-0.9 , Iron 0.3-0.7 mg Niacin (Vitamin B3) 0.2-0.45 mg, Phosphorus 16  36 mg, Protein 0.15-0.5 g, Thiamine (Vitamin B1) traces, Riboflavin (Vitamin B2) traces. Great for kids' of all ages - tasty nutritional beverage supplement - 1,817 ORAC units! Protects the body from free radicals & pollutants with natural anti-oxidants, flavonoids, carotenoids, vitamins, minerals. Quercetin. Xanthones, Tannins, Betalin. ISLANDELIGHTS  drinks are natural functional food beverages accredited with GMP, HACCP and HALAL. Strawberry Pear (Hylocereus undatus) health benefits include preventing memory loss, anti cancer activity, controls blood glucose levels, has anti-oxidant properties, aids in healing of wounds and is a delicious tropical fruit which has some wonderful health benefits like being low in calories, contains a high content of Vitamin C and dietry fibre, and is excellent at reducing blood sugar levels for people with Type 2 Diabetes. 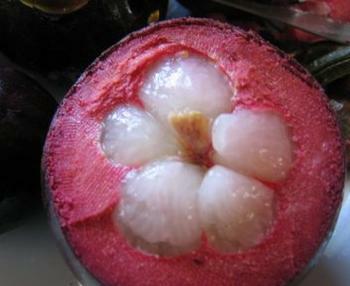 Mangosteen Rind (Garcinia mangostana) from Thailand. What has propelled the fruit to fame is its deep purple rind, which is packed with antioxidants called Xanthones. These powerful antioxidants help protect the body from free radicals, highly reactive compounds that interfere with cells ability to function normally, and may lead to more than 60 different health conditions, including the aging process, cancer, and hardening of the arteries. Mangosteen is very low in calories, contains no saturated fats or cholesterol, but rich in dietary fiber (100 g provides about 13% of RDA) which can be very important for individuals who are concerned about putting on excess body weight. 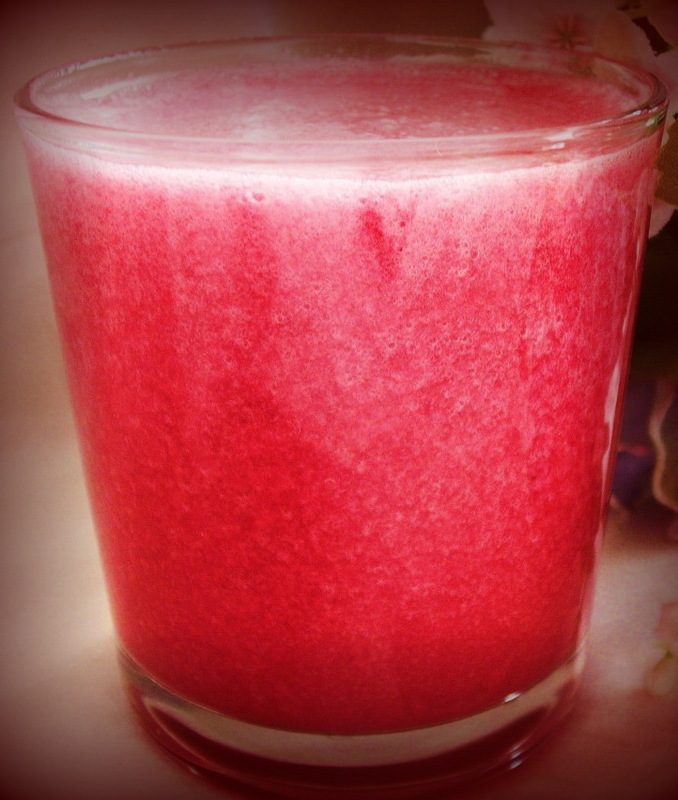 Mangosteen is high in vitamin C; provides about 12% of per 100 g. Vitamin-C is a powerful water soluble anti-oxidant. that helps the body develop resistance against flu-like infectious agents and scavenge harmful, pro-inflammatory free radicals. The fruit is a moderate source of B-complex vitamins such as thiamin, niacin and folates. These vitamins are acting as cofactors help body metabolize carbohydrates, protein, and fats. It also contains a very good amount of minerals like potassium, manganese and magnesium. Potassium is an important component of cell and body fluids help control heart rate and blood pressure; thus offers protection against stroke and coronary heart diseases. Zero Calories! Stevia is a natural herbal sweetener about 300 times sweeter than sugar. It is calorie free, does not affect the glycemic index and it is diabetic friendly. 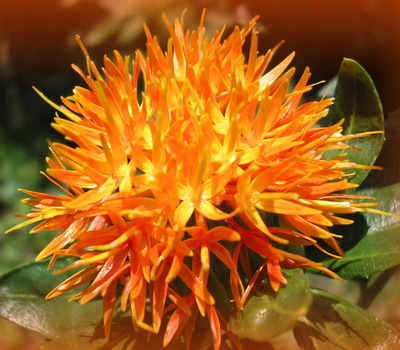 Safflower stamens offer a high content of amino acids, antioxidants (carthamin) 11 flavonals, & minerals. Safflower petals have immense medicinal and therapeutic properties as revealed by Chinese researchers. ash (10.4%), fiber (12.2%), and fatty acid composition. The petal oil was shown for the first time, to contain some short chain fatty acids (10:0, 12:0 and 14:0), gamma linolenic acid (GLA) along with fatty acids such as palmitic, stearic, oleic and alpha linolenic acids. of Cu, Zn, and Mn. The organic and inorganic constituents together may provide the nutritional and medicinal values to the petals. and bronchial spasms. 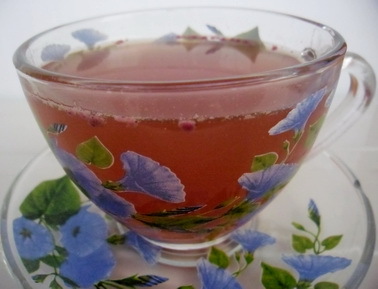 Safflower petals beverage has a similar effect to Chamomile tea, soothing and relaxing. dye from deep yellow to crimson for centuries, and are sometimes used as natural food coloring. Precautions: Pregnant women should avoid using safflower (the oil is alright) as it may have a slight aborfacient quality. It also may cause problems in people who have ragweed allergies or taking blood thinning medicaions. Mulberry protects the body from free radicals & pollutants with natural anti-oxidants, flavonoids, carotenoids, vitamins, minerals. Anthocyanin, Quercetin, Resveratrol. ISLANDELIGHTS flower drinks are a natural functional food beverages accredited with GMP, HACCP and HALAL. Mulberry offers a wide spectrum of nutritional benefits, vitamins, and minerals. Mulberry fruit is classified in the modern Chinese Materia Medica as a blood tonic, and is listed along with herbs having similar traditional uses such as ho-shou-wu (Polygonum multiflorum, root), cooked rehmannia (Rehmannia glutinosa, root), ligustrum (Ligustrum lucidum, fruit) and lycium (Lycium chinensis, fruit). Traditionally, mulberry fruit has been used as a medicinal agent to nourish the yin and blood, benefit the kidneys, and treat weakness, fatigue, anemia, and premature graying of hair. It is also used utilized to treat urinary incontinence, tinnitus, dizziness, and constipation in the elderly and the anemic. Recommended for Women - Islandelights 100% natural Mulberry Flower instant health beverage with KKK Naturoestrol Extract (1) oz foil pkg makes 60-90 servings. Recommended for Men - Islandelights™ 100% natural Mulberry Flower instant health beverage with Naturoestrol KKD Extract (1) pkg makes 60-90 servings. 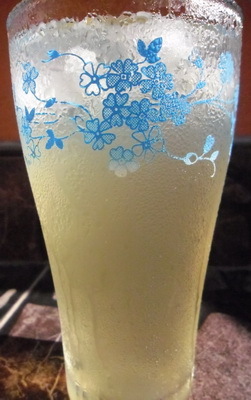 New Flower Power healthy refreshing, delicious, & thirst quenching nutritional beverages - cold or hot! 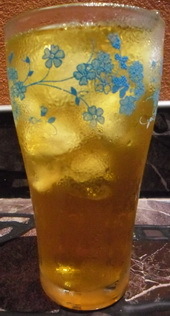 The two most popular teas made with flowers used as single herbs are Chamomile in the West and Chrysanthemum in the East. 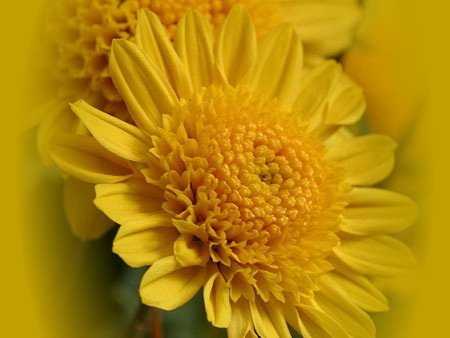 The Ju Hua (Chrysanthemum) flowers have also been utilized to promote circulation, preserve vitality, and provide some properties akin to those of the tonic herbs. ISLANDELIGHTS flower drinks are a natural functional food beverage accredited with GMP, HACCP and HALAL. Pandan Lá Dua Tea is helpful in rejuvenating and nourishing the body. It has been used for generations as a spice & in soaps for its unique fragrant scent. It is a restorative, deodorant, indolent and phylactic (serving to protect), promoting a feeling of wellbeing. It's also a natural breath sweetener, known for its unique deep woody rose spice fragrant leaves & Jasmine aroma & flavor. Pandan Lá Dua Tea has a cooling effect which helps to maintain the heart and liver in good condition and also helps relieve fever and soothe sore throats. It is a treatment of internal inflammations, urinary infections, colds, coughs, measles, bleeding gums and skin diseases. In folklore, it is used as a diuretic, for headaches, and to facilitate wound healing. Its oil is considered a stimulant, antispasmodic and antiseptic. The Lá Dua leaves contain essential oils, flavonoids, alkaloids, glycosides, tannin and 2-acetyl-1-pyrroline (2AP). Chemical studies indicate the presence of steroids, saponins, terpinoids, glycosides, tannins, flavonoids and phenolics in the extract. The leaf of Pandanus (odoratissimus/ Pandanus amaryllifolius Roxb) contains some active principles which possess potential CNS-depressant action. .
Roselle protects the body from free radicals & pollutants with natural anti-oxidants, flavonoids, carotenoids, vitamins, minerals. Anthocyanin, Quercetin, Resveratrol. 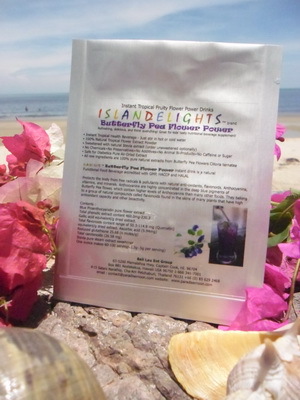 ISLANDELIGHTS Flower Power drinks are a Natural Functional Food Beverage accredited with GMP, HACCP and HALAL. Up to 30% plant acids, including hibiscic, citric, malic, protocatechuic and tartaric acids; flavonoids gossypetine, hibiscin, hibiscetine and sabdaretine (the calyx contains a reported 1.5% anthocyanins);(1) pectin; minerals such as calcium, phosphorus, iron and malic acid; phytosterol oils (in seeds), including sitosterol, campesterol, stigmasterol, 5-avenasterol, and cholesterol;(2) polysaccharides, including arabinans and arabinogalactan. Contains anthocyanins, anthocyanidine aglycones, anthocyanin glycosides. Anthocyanins, along with anthocyanidins and proanthocyanidins are the water-soluble bioavailable flavonoid pigments. Anthocyanins have been reported to have positive physiological effects on the human body, including cardiovascular health, chronic inflammation, bone/joint health, ocular health, cancer prevention and therapy, hypercholesterolemia prevention and therapy, gastrointestinal health and liver diseases. 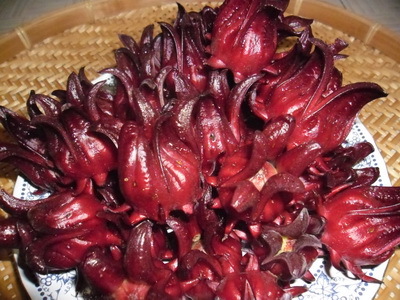 An effective antioxidant & anti-hypertension treatment, Roselle is also useful as an; Antibacterial/antifungal, Antispasmodic, Appetite suppressant, Anti-hypertensive effects, Cholesterol-lowering, Common Colds, Diuretic, Immune modulation, Mucolytic, Pain/fever.